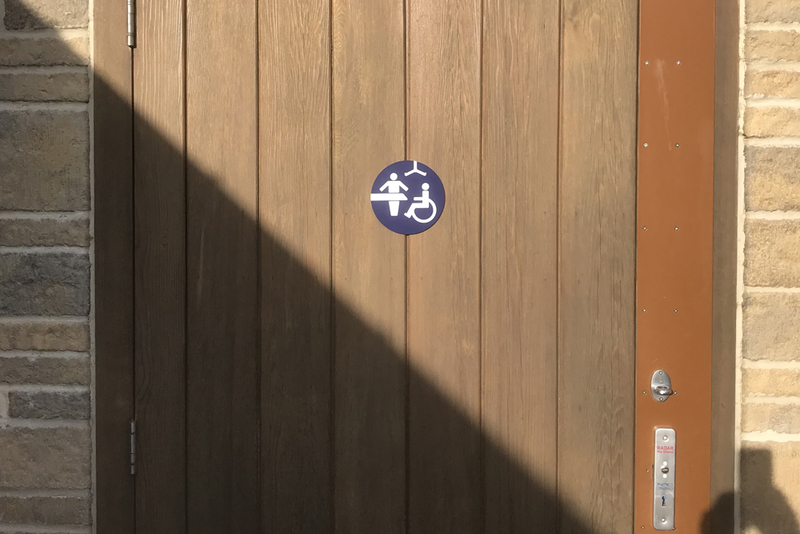 Changing Places are fantastic facilities; an improvement on the standard disabled toilets, they encompass a range of specialist equipment in order to allow people with many different needs to use the loo safely and with dignity. 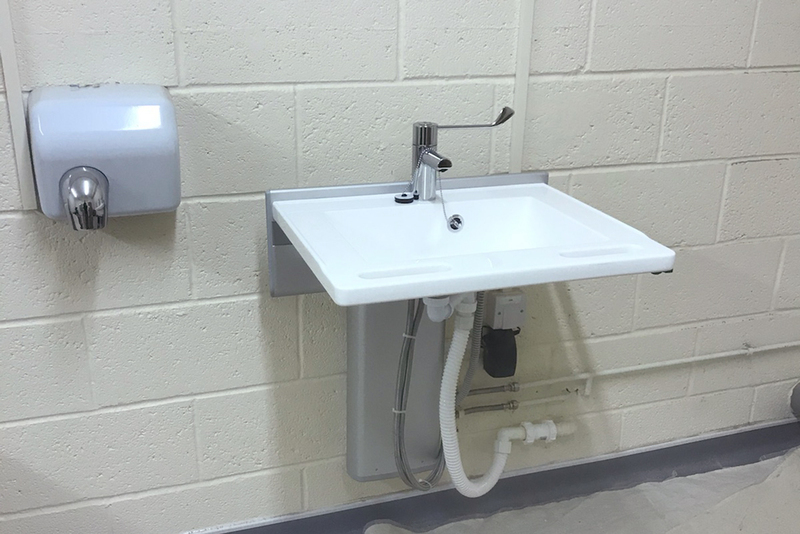 In this article, ‘Easy as 1, 2, 3: A Changing Places Installation Story’ we hope to provide you with a quick overview on how Changing Places do not need to be difficult to install. 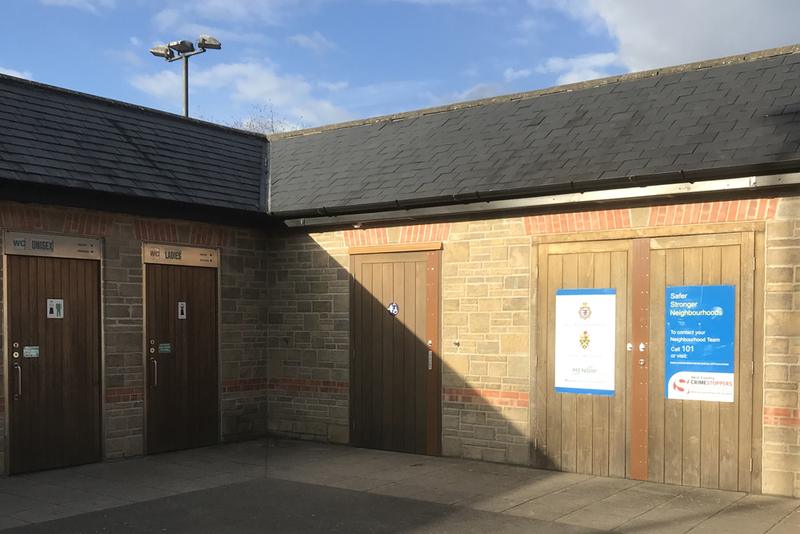 When considering Changing Places projects, the design, plan and budget for such toilets are often months in the making – sometimes even years. And yet they seem to pop up overnight, and in the space of 24-48 hours, an empty room becomes a fully inclusive toilet fit for just about everyone. Whilst it seems a romantic notion, we’ve debunked the myth with a step-by-step collection of in-progress images from one of our installation team. 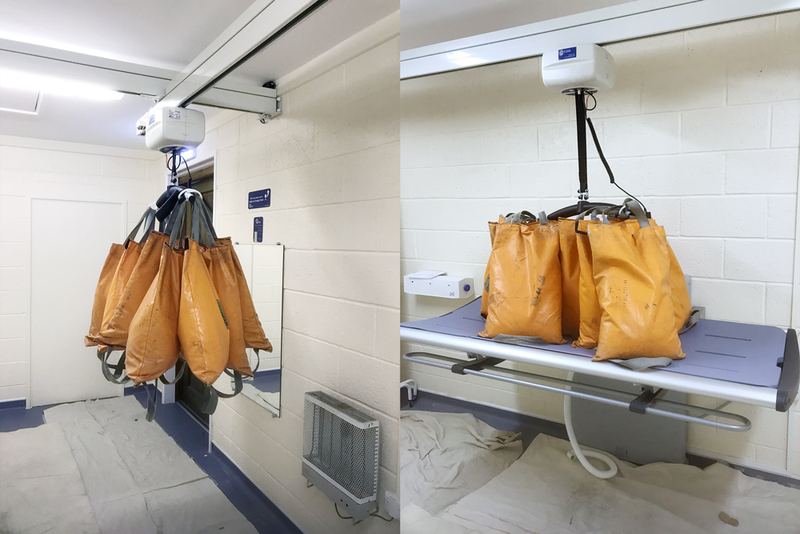 Taken during a recent Changing Places installation at Market Yard Toilet Block for Mendip Borough Council, the photos offer a peak under the curtain to see what is entailed. 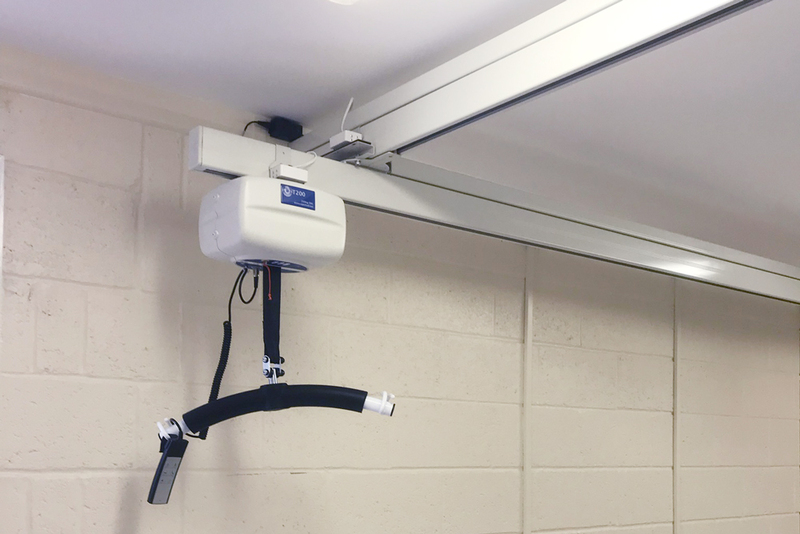 Shown here mounted on a ceiling fixed XY System, the OT200 Hoist is an unobtrusive and quiet feature in the Changing Places that allows users to easily affix a sling to the loop attachments and be hoisted from a wheelchair to the toilet, the Nursing Bench or any other area of the room. The XY track system provides the option of full-room coverage with the hoist, meaning no area is off limits. Our adult sized Nursing Bench 3000 is a crucial part of any Changing Places project. Our installation team fix it securely to a solid or reinforced wall, as demonstrated. The Nursing Bench is not only aesthetically pleasing in design, but also clever with space requirements considered; the Nursing Bench folds up against the wall to maintain as much space for manoeuvring powered wheelchairs, multiple carers and family members. 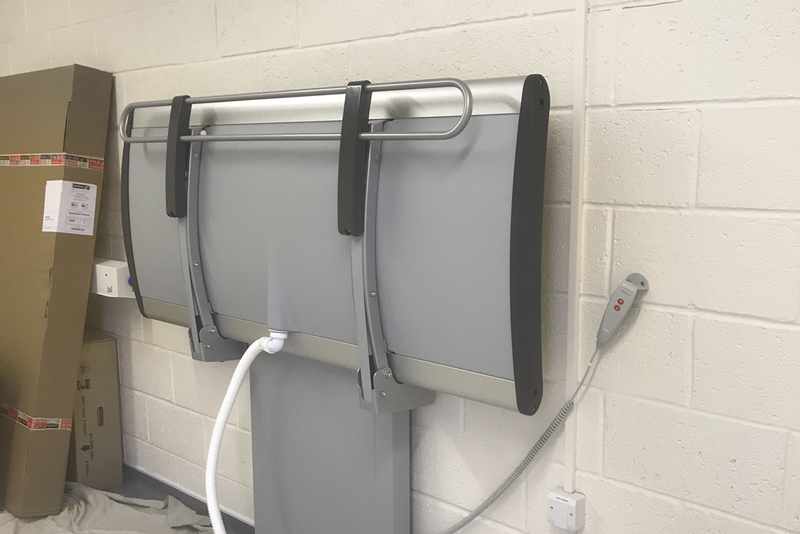 The PR4750 Height Adjustable Washbasin was installed into this particular facility, with options shown for the exposed but neat waste feed or the waste plumbing being fed through the wall to keep it out of site. Operational through a simple and easy-to-reach lever-mechanism level with the basin, as can be seen, it is entirely user-friendly. The basin is flat underneath for legs to fit comfortably beneath and both basins are designed to be leaned or held onto for support at the front. Safety first! The weight capacity and durability of all the Height Adjustable equipment is always put the test once the installation is complete. The weight bags test the 200kg capacity to ensure that any person weighing up to this or anything in between, is perfectly safe and supported by the equipment. Installing a Changing Places toilet is important, but even more so is making people who might use it aware that it is there in the first place. Outside signage is key to direct users to the facility. Equally important is the signage for use of the equipment. Shown in the finished Changing Places here, the signs offer clear instruction for using the hoist handset, and also where to put it back on charge so that the next people to use it will not be left with a flat battery!